BTIG, LLC announced today an expanded list of celebrity guest traders for the 15th BTIG Commissions for Charity Day on Tuesday, May 2, 2017. 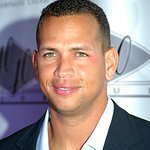 NEW YORK: Alan Hahn, Alex Rodriguez, Allan Houston, Angel Cordero, Beth Ostrosky Stern, Bob Papa, Bobby Valentine, Bode Miller, Brian Cashman, Bridget Moynahan, Bruce Beck, CC Sabathia, Charles Oakley, Chase Headley, Chris Wragge, Chuck Scarborough, D’Brickashaw Ferguson, Darryl Strawberry, David Diehl, Dellin Betances, Derek Jeter, Didi Gregorius, Dwight Gooden, Eric Decker, Eric LeGrand, Gene Michael, Geraldo Rivera, Gerry Cooney, Grant Hill, Greg Bird, Hannah Storm, Jenny McCarthy, Jeremy Roenick, Joe Girardi, Joe Namath, John Calipari, John McEnroe, John Starks, Johnny Velazquez, Kristin Davis, Laurie Hernandez, Lawrence Taylor, Mariano Rivera, Mark Cuban, Mark Messier, Mark Teixeira, Michael Bloomberg, Nicky Hilton, Olivia Culpo, Oz Pearlman, Padma Lakshmi, Petra Nemcova, Phil Simms, Ralph Sampson, Reggie Jackson, Rick DiPietro, Ricky Steamboat, Rosanna Scotto, Sara Blakely, Shaquille O'Neal, Steve Buscemi, Steve Weatherford, Tom Coughlin, Tommy and Dee Hilfiger, Tony Richardson and Victor Cruz. SAN FRANCISCO: Barry Bonds, Damon Bruce, Dave Dravecky, Jeremy Affeldt, Kelenna Azubuike, Marcus Peters, Renel Brooks-Moon, Ronnie Lott, Ted Robinson, Vida Blue and Warren Moon.